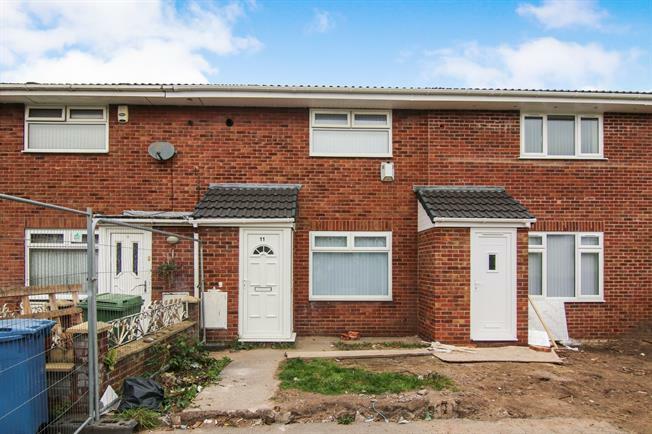 3 Bedroom Terraced House For Sale in Liverpool for Asking Price £115,000. Fully renovated and offered with no chain this extended, three bedroom property is ready to move in to. Perfectly located for all amenities and a short distance from the city centre, this is the perfect opportunity for a first time buyer, young professional and families to have everything close by and be situated in a quiet cul-de-sac. Comprising of entrance porch, lounge and kitchen/ dining to the ground floor. To the first floor there are three bedrooms and a family bathroom. Externally there is parking and a rear garden. Please contact 0151 236 8187 to arrange a viewing. UPVC front double glazed door. Double glazed window. Double glazed uPVC window. Radiator, carpeted flooring, under stair storage. UPVC patio double glazed door, opening onto the garden. Double glazed uPVC window. Radiator, laminate flooring. Roll top work surface, base units, stainless steel sink and with mixer tap, integrated, electric oven, integrated, electric hob, stainless steel extractor. Double glazed velux window. Radiator, carpeted flooring. Double glazed uPVC window with frosted glass. Heated towel rail, part tiled walls. Low level WC, panelled bath with mixer tap, shower over bath and electric shower, pedestal sink and wash hand basin with mixer tap.